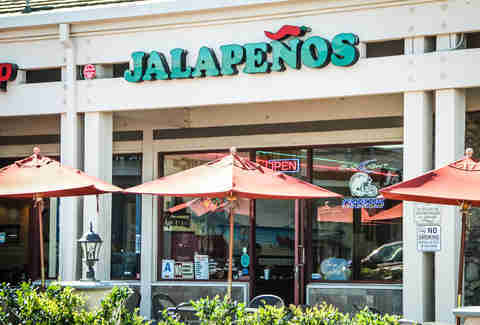 The last place you’d think to look for delicious Mexican food is in a Carmel Mountain strip mall next to Supercuts, but that’s exactly where you’ll find Jalapeños serving some of the best carne asada in town. Order it any way you want it: in a quesadilla, burrito, taco, or on nachos -- but its best piled on top of a plate of fries with sour cream, guacamole, and salsa from their selection at the salsa bar. 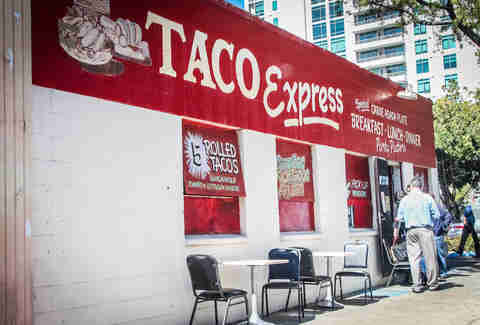 If you want traditional TJ tacos without having to take a trip South of the border, Tacos El Gordo has two locations, neither of which requires a passport. 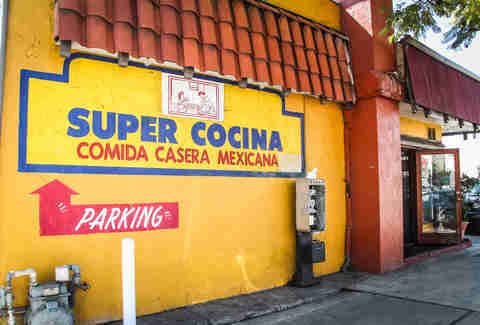 Their tacos are made with fresh tortillas and just about any kind of meat you could want -- from lengua and cabeza, to buche and spicy pork adobada sliced right from a giant slab. 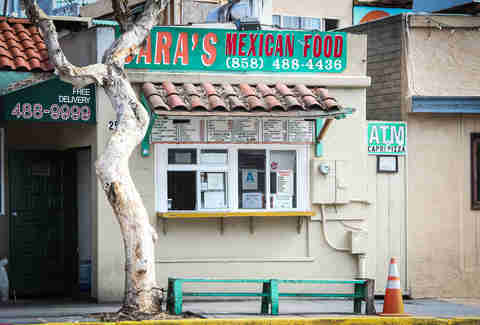 Usually "hole in the wall" is a figure of speech, but Sara’s is literally a hole in the wall between bars on Mission Blvd. 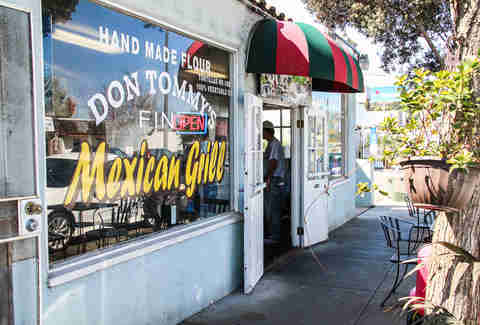 There’s no seating, just a window for to-go orders. Get one of their giant burritos to take to the beach, or stop by late-night to grab some life-saving tacos on your way home from the bar. 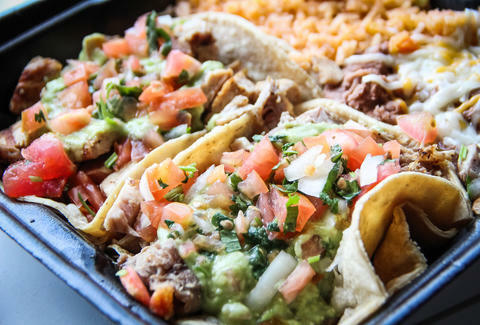 A taco shop is the last thing you’d expect to find in Little Italy (fine, maybe not the LAST thing, but certainly not the first either), but when you get tired of pizza and pasta, this place is well worth your attention. 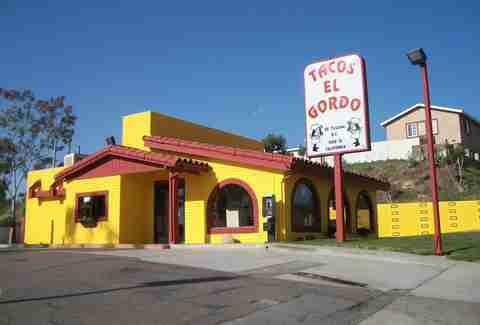 The tacos are on point and fairly priced, the covered patio out back is the perfect place to destroy them in relative anonymity, and the friendly staff won't judge you. 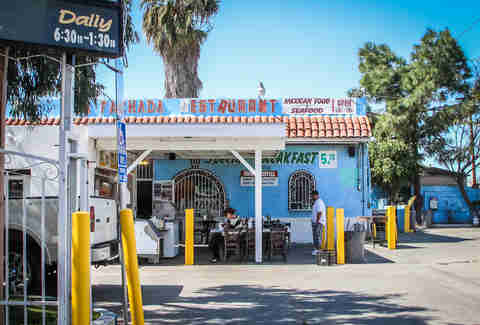 Ok, so you may not be accustomed to the neighborhood, and ordering would be easier if you spoke Spanish, but don’t let that scare you off -- La Fachada is the real deal when it comes to street tacos, and their fantastic selection of aguas frescas make for the perfect chaser.